We were very happy to host a triathlon training camp with one of the world’s most renowned and accomplished triathlon coaches Brett (the doc) Sutton in partnership with Taj Dubai, and in addition to Fitness First Middle East, Bespoke Ride and Compressport/On Shoes. For those who are not familiar with Brett Sutton, in addition to mentoring some of the sport’s icons, including current Olympic gold medalist Nicola Spirig, current Ironman and Ironman 70.3 World Champion Daniela Ryf, and four-time Ironman World Champion Chrissie Wellington, Brett Sutton has coached three individual Olympic medal winners, 15 ITU world champions and his athletes have amassed over a hundred 70.3 and Ironman championships. He is now head coach at Trisutto.com, where his focus is on providing coaching knowledge and services to age-group athletes. Brett’s assistant coach on this camp was Andrew Wright who is the coach of several emerging elite ITU athletes, as well as multiple age group Kona Qualifiers. His athletes consistently win Age Group races over all distances throughout Asia and Australia. A former professional athlete, he has trained with some of the world’s best athletes under the world’s best coaches including current Great Britain High Performance Manager, Ben Bright, and now working directly with Brett Sutton. Andrew has created his own triathlon development and ID program in Hong Kong - with 10 years coaching experience he has had 11 Kona Qualifiers, 10 athletes represent at national level and coached age group athletes to over a hundred Ironman and Challenge podiums. The camp took place between April 21 and 23, 2016 in Dubai, and was limited to twenty five athletes mostly from TriDubai with three athletes visiting from Abu Dhabi. Camp participants had a dinner with Brett and Andrew at the il Caffe Di Roma in Business Bay, which was to introduce Brett to the athletes and to brief them on the main agenda and purpose of doing the camp and what to focus on taking out of the coming two days. The day started with a group ride at District One Cycle Track (Nad Al Sheba) were Brett had us doing a similar session to what World Champion Daniela Ryf was doing that morning; so we did several laps of the 8km track building intensity as one Lap Easy, One Lap Moderate, One Lap Medium and one or two laps MAD depending on athlete level. The main idea behind the session is for the athlete to go by feel and not get tied down by data and metrics. This is why the zone reference that Brett uses with his athletes are indicative of feel (Easy, Moderate, Medium, Mad). 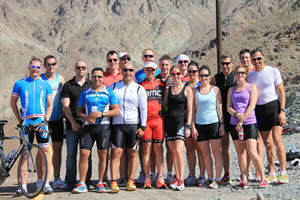 After the bike, participants moved to the Fitness First Platinum Al Manzil gym in DownTown Dubai for the swim session. Before the session the group gathered for a coffee and Brett gave a talk about the importance of getting swim fit in order to perform better at the other two disciplines during the race. The group then proceeded to the pool to do the swim session which consisted of hard sprint repeat efforts with pull and paddle in between. It definitely read much easier on paper than it felt. Swim training Lecture covered techniques for the individual athlete, use of swim tools, stroke correction. Bike training lecture including: positioning, technique for the individual athlete, bicycle and component selection, skills, tools and other areas covering cadence, strength and torque sessions, as well as racing tips and advice. On Friday afternoon, and in collaboration with Besport Bike Shop, representatives from On Shoes and Compressport were kind enough to offer a demonstration of their apparel, shoes and accessories for triathlons at the hotel and have generously offered some gifts to the camp participants as part of the event. Buffet dinner at the Taj Hotel Dubai DownTown Business Bay. Lecture focusing on run training and technique for the individual athlete, shoe choice, use of run tools (hills, track, treadmill, road). The run lecture was followed with a talk by coach Andrew Wright about the importance of nutrition and what to fuel on before during and after training and racing. The camp participants proceeded after that to Bespoke Ride facilties in Al Quoz for an indoor bike training session generously hosted by the Bespoke Ride management and team. Brett focused this session on teaching athletes the importance of knowing the feel of the effort and differentiating between Hard, Medium, Mad. The session included 30 x [1 minute all out in the biggest gear, 1 minute easy]. A debrief chat followed and Q&A on the bike session and other matters. Training philosophy – the Trisutto.com principles of periodization, the training mix, psychology + physiology, athlete development and the use of races within these considerations. Triathlon is the integration of swim, bike and run into the one training approach. We swim so we can bike well and we bike so we can run well. Compressport/ON Shoes: Thanks to Raslan Abbadi from Besport Bike shop in Al Quoz for arranging to support our event through Compressport and On Shoes and more so to Sergi Labori, and Brian McArthur for the demo and the gifts and goodie bags that were handed to camp participants. Last but not least; thanks to all the athletes and members who have supported the event either by taking part in it, either as a camp participant or by attending the dinner. Until our next season and camp, have a great summer and off season, and good luck racing around the world until then. We are very excited to announce the TriDubai training camp with Brett (the doc) Sutton in Partnership with Taj Hotel Dubai, April 21-23 which is limited to twenty five TriDubai athletes. For those who are not familiar with Brett Sutton, in addition to mentoring some of the sport’s icons, including current Olympic gold medalist Nicola Spirig, current Ironman and Ironman 70.3 World Champion Daniela Ryf, and four-time Ironman World Champion Chrissie Wellington, Brett Sutton has coached three individual Olympic medal winners, 15 ITU world champions and his athletes have amassed over 100 70.3 and Ironman championships. He is now head coach at Trisutto.com, where his focus is on providing coaching knowledge and services to age-group athletes. Trisutto triathlon and multisport camps offer a fully immersive training experience designed to improve fitness, health and well-being. Camps provide budding athletes an opportunity to train using the same systems that have produced Olympic, World and Ironman Champions. Brett’s assistant coach on this camp will be Andrew Wright who is the coach of several emerging elite ITU athletes, as well as multiple AG Kona Qualifiers. His athletes consistently win Age Group races over all distances throughout Asia and Australia. A former professional athlete, he has trained with some of the world’s best athletes under the world’s best coaches including current Great Britain High Performance Manager, Ben Bright, and now working directly with Brett Sutton. Andrew has created his own triathlon development and ID program in Hong Kong - with 10 years coaching experience he has had 11 Kona Qualifiers, 10 athletes represent at national level and coached age group athletes to over 100 Ironman and Challenge podiums. Open to all members, 165 Dhs per person including buffet dinner at the Taj Hotel Dubai DownTown Business Bay. Camp participants’ entry is included in the camp fee. Open interaction with Brett and any questions you have. Training philosophy – learn Trisutto.com principles of periodization, the training mix, psychology + physiology, athlete development and the use of races within these considerations. The camp has a limited capacity and is only open to 20 athletes, on a first confirm and pay, first booked basis. The fee per participant is 1,800 Dhs and covers the two day camp in addition to the buffet dinner and seminar on Thursday 21st. Those interested and confirmed are to pay the camp fees as soon as possible, only three spots are left. Fees to be paid in cash or bank transfer to our TriDubai Treasurer, Chris Thorne. Reminder that all fees collected are only to cover the costs of the camp which include coach and assistant coach fees, flight tickets, hotel as well as the dinner event and other functions and expenses required within the camp; no money whatsoever is taken by any TriDubai committee member. Garth Fox is a sports scientist and endurance performance coach working with both age group and professional athletes. Most notably he coaches 2 time Ironman champion and Xterra World Champion Michi Weiss. Peter Leo is an Austrian U23 elite triathlete and sports science student at the University of Applied Sciences in Wiener Neustadt, Austria where he is concluding his degree in Sport & Exercise Science. · Why, How and When of Critical Power and Velocity testing for the 3 disciplines. · Prescribed training zones and suggested workouts for athlete’s target races. · Individual assessment of technique and ability with feedback. · Strength & Conditioning for Triathlon. · Presentation: The Road to Kona: How do we win this thing? The idea of the camp was to combine testing and evaluation with short races as this is fun but also a great way to get the best out each other. Testing is a crucial ingredient in any athletes’ development and this camp aimed at equipping every participant with the ability to monitor their own progress on an ongoing basis with simply executed and scientifically underpinned field tests. 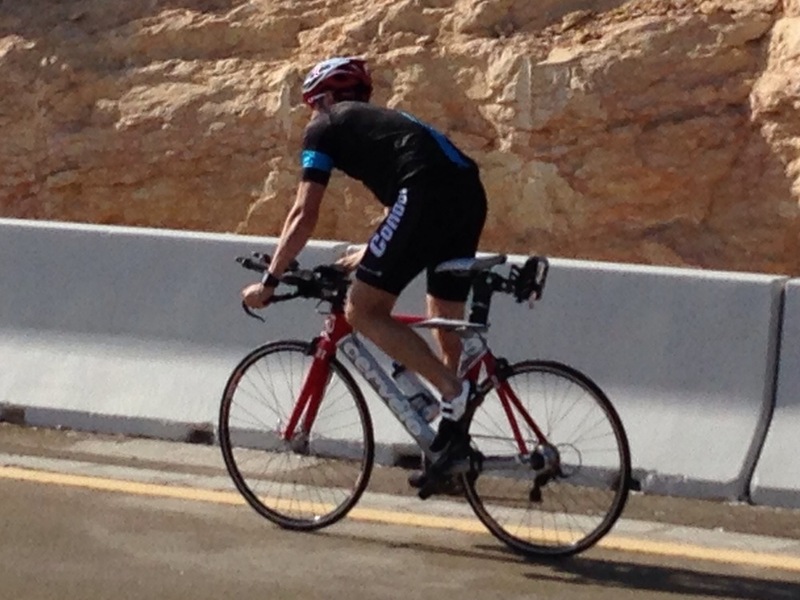 As announced earlier, we are planning a triathlon and bike performance camp weekend on January 29th till January 31 in Jebel Jais with Garth Fox. •Why, How and When of Critical Power and Velocity... testing for Triathlon. •Prescribed training zones and suggested workouts for athlete’s target races. •Individual assessment of technique and ability with feedback. •Strength & Conditioning for Triathlon. •Presentation: The Road to Kona: How do we win this thing? The idea of the camp is to combine testing and evaluation with short races as this is fun but also a great way to get the best out of your training. Testing is a crucial ingredient in any athletes’ development and this camp will equip every participant with the ability to monitor their own progress on an ongoing basis with simply executed and scientifically underpinned field tests. If you own a powermeter then that would be a huge benefit for the camp, but it's not essential to participation in this camp as a simple heart rate monitor will suffice. Athletes are encouraged to arrive fresh and rested to make the best of the weekend. The camp will be held at the Cove Rotana Hotel in RAK, and the ride and run will be done in Jebel Jais, followed by the swim sessions and presentations at the hotel grounds. We have a special rate with the hotel for the event of 650 Dhs per room per night inclusive of breakfast and all taxes and service charges. If numbers of people wanting to stay there increases we can negotiate to lower this price even further. The participation fee for this camp is 1,295 Dhs per participant, and is open to only 25 slots. Interested athletes need to book their slots by paying the amount before Dec 25th in order to secure their slot. Please email me on camps@tridubai.org with your contact details and confirmation in order to book your spot. Fiona Ford, Level 3 British Triathlon Federation Coach, and Full Swim Smooth Certified Coach is visiting Dubai from December 15th till December 21 in order to conduct a week of swim clinics/workshops especially for TriDubai athletes. 2- Half Day Group Session (4 hours): Saturday and Friday December 19th and 20th. One half day session in the morning starting 6-10 and another half day session in the afternoon starting 2 till 6. Each half day session caters for 6 swimmers during which each swimmer goes into the pool individually and gets video analysis then we move to a meeting room where all technique corrections are discussed while viewing the videos. Then back to the pool for individual stroke correction. The cost for this half day session per athlete is 600 Dhs and also includes DVD, swim footage, swim analysis, swim cap, improvement packs with your follow up sessions. The sessions above will be conducted at the Movenpick Ibn Battuta Gate Hotel that has offered us preferential rates for using the pool and meeting room that contributed in controlling the cost per athlete for these sessions. Similar to other TriDubai initiatives, no money whatsoever is taken by anyone from TriDubai, and all charges paid by athletes are fully paid into coach and venue fees. If interested then you need to book your space on any of the above options (1, or 2) no later than November 15th, by paying an advanced booking to secure your space. Confirming in a comment on this post to show interest is fine but no places will be booked before payment is done in order to secure spaces for sure and be fair to everyone. So for that you need to please email me at camps@tridubai.org with your contact details in order to take it forward with each athlete according to the option they want to and book your space according to the available date and slot. After the success of the Michelle Dillon training camp last year, we have another great camp organised with Michelle on 20-22 February 2014. Michelle is a former World and European champion, winner of “Triathlon Coach of the Year” in the 220 Triathlon Awards 2010. You can check her coaching website here. This is a great opportunity for you to sharpen your triathlon skills, and gain an edge before important upcoming races (Yas, IM Melbourne, ADIT, IMSA, etc) hence the short notice for the camp. The camp will cost 1,550 Dhs per athlete and is open for a total of 24 participants. Money should be paid no later than February 5th from all those who confirm in order for us to book the venue and pay the fees. As always, 100% of the fees go to the coach + facilities. Last weekend, TriDubai was lucky enough to welcome sports scientist and endurance performance coach Garth Fox back to the UAE (after an extremely successful camp in Hatta last year) – this time to Jebel Hafeet for a Power Performance Camp. The LONG and winding road.... better down than up! After an initial chat first thing on Friday morning up at the Mercure Hotel at the top of Jebel Hafeet (and a weigh in – several participants were seen rushing to the toilet beforehand to present as low a weight as possible…), our first session was to do some 5 second, 1 minute and 5 minute tests on our bikes. All athletes were required to have power meters on their bikes – which would then measure the maximum wattage that riders could maintain for each of those intervals. After a warm up, we all did three 5 second tests (each with a 5 minute rest interval), then a 1 minute test, which was then followed (after a 15 minute rest interval) with a 5 minute test. Warning for those at home: 1 minute and 5 minute tests REALLY hurt! It may not seem like much, but this was a solid session for all! After lunch at the Mercure (cold but sunny outside) we then headed out for our 20 minute test. Once again, we followed a warm up protocol, and then started from the bottom of the hill and spanked it for as hard as we could for 20 minutes. After stopping for a quick collapse immediately after, we then continued to head the rest of the way up the hill (its about a 45 minute climb from bottom to top) at our own pace. 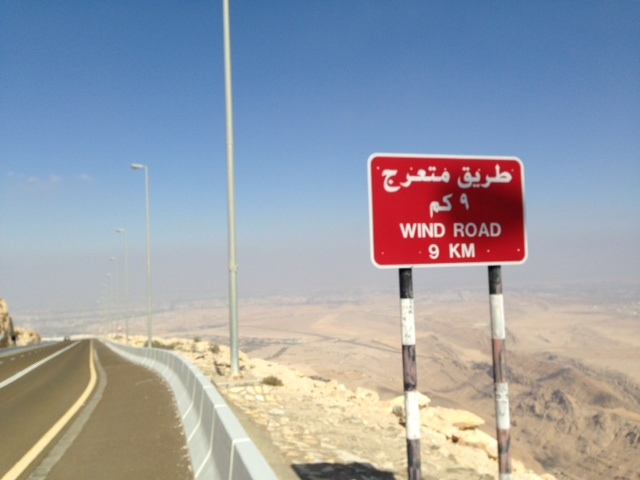 Some of us then headed back down the mountain for a second ride up (whilst others – who shall remain nameless – had to drive back down to pick up their cars as they hadn’t fancied riding down the hill in the first place [come on TriDubai! Grow some!!]). Back at the hotel, we all gave our 4 numbers (5 second, 1 minute, 5 minute and 20 minute max average powers) to Garth, before demolishing the all you can eat buffet. Garth then gave us a presentation setting out the various power number of the camp participants, the critical power numbers of those individuals, what those disparities meant in terms of strengths and weaknesses, and from looking at those differences what needed to be done from a training perspective in order to improve race performance. All the explanations were given with a huge dose of evidence from sports science research, whether that be in relation to the latest thinking on polarized training or how best to incorporate strength training into our training programs. Many eyes were opened! As an example as to the improvements that could be made by training according to these methods, in 18 months Ian’s 20 minute power had increased by over 18% and his 5 minute power had increased by over 30%. It might look flat... but its not! That night we were ranked into 3 groups which were roughly equal in terms of their critical power watts per kg weight – which was to come into play the next morning as those groups then had a “cat and mouse” game up the hill. Each member of the group would spend 5 minutes leading the group up, going as fast or as slow as they wanted, with the leader being able to score a point if they managed to get more than 30m ahead of the other riders in their group at any point during their 5 minute turn. Would you use your greater 20 minute power to try to set a strong pace that your fellow group riders couldn’t handle, or did you have a higher 5 second peak power that could be used to try to sprint away from the others? Good fun, a useful exercise to understand your strengths and weaknesses, and great training to boot. After lunch Garth then spent 15 minutes with each athlete going through their individual strengths and weaknesses, talking through what training they needed to do to deal with their limiters and thus ultimately to improve their race performance. Again, this was hugely illuminating, and got many people to have a really good think about the training they were currently doing , and what they could do to improve it. This was then followed up a couple of days later with Garth emailing everyone with a power report setting out their results, their power training zones, and their immediate training objectives. Huge thanks from all the athletes to Garth for an excellent and informative camp. We are delighted that, by popular demand, we have arranged for sports scientist and endurance performance coach Garth Fox, to come over again to the UAE to deliver a performance camp at Jebel Hafeet on the 17-18 January. 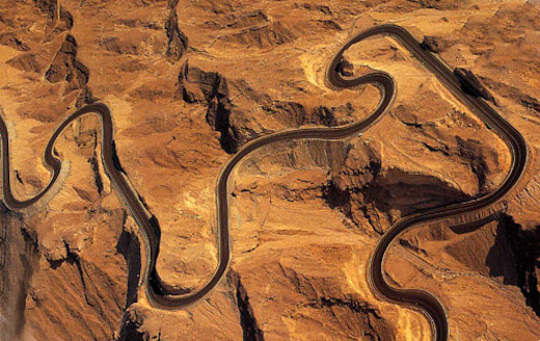 Will you be riding up this road? YES! During the camp we'll work with Garth to create our own comprehensive Power Profile, and establish your Peak Power, Anaerobic Capacity, Maximal Aerobic Power and Critical Power during field based (or should we say "hill based"?!) performance testing. Not only that, but we'll learn how to train more effectively with power: pace interval efforts to maximise training effect, understand our Power Profile and how to record and analyse our training and competition. Garth Fox is a Sports Scientist and endurance performance coach, providing physiological support to athletes ranging in ability from novice to world class. He holds an MSc. in Sports Science & Human Performance. Amongst others, Garth is Sports Scientist to Pro Triathlete Michael Weiss and coach to Phil Mosley, Elite Triathlete and Coaching Editor of Triathlon Plus magazine. He also has extensive experience within cycling including work with Cyclefit, TrainingPeaks and SRM. First up: Initial explanation of the goals of the camp, what we can expect to learn, and how we can use that learning to inform and direct our future training. Morning: Performance testing in the field, including peak power, anaerobic capacity and maximal aerobic power. Afternoon: Mountain TT to determine Critical Power. Evening: Evening meal and presentations including calculating individual power based training zones and using power data to monitor and improve performance. 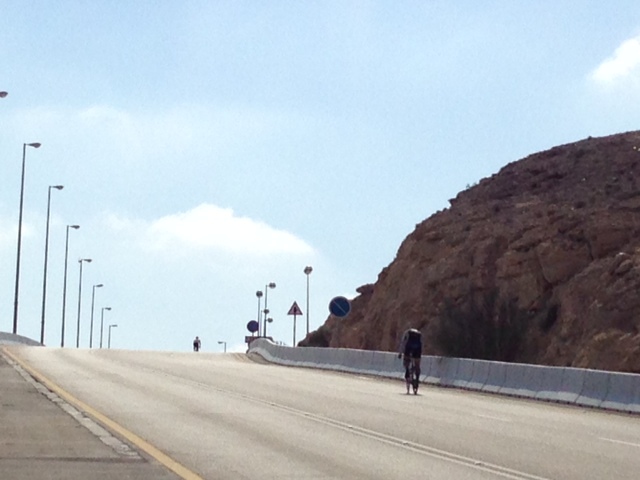 Morning: Handicap TT Climb to the top of Jebel Hafeet. Athletes will be split into staggered groups, according to power : weight ratio, for a race to the summit! Afternoon: individual 15 minute discussions with Garth to go through a personalised "Power Report" that he will prepare - which will set out your areas of strength and weaknesses and the sort of training you personally need to do to improve your weaknesses and your overall performance. Afternoon: optional “informal” swim/ run recovery sessions in between discussions to flush out the legs. 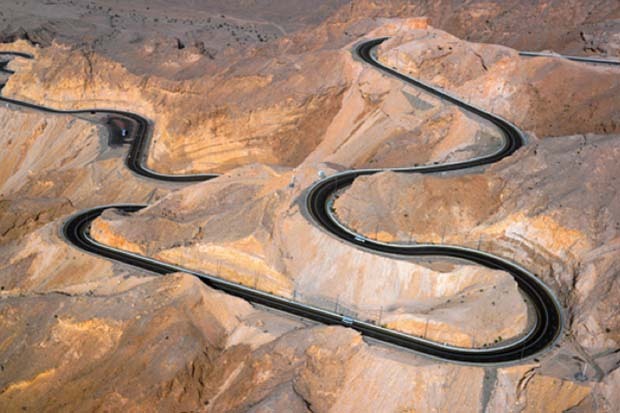 Jebel Hafeet, Al Ain. All activities on Friday and Saturday will take place either at the Mercure Grand Jebel Hafeet, or on the roads surrounding it. All participants are strongly encouraged to book a room at the Mercure Grand Jebel Hafeet. We have negotiated group rates with the hotel for the workshop. Once your place is confirmed on the course we’ll give you the details you need in order to book your room on the Friday night. Cost for the camp (which excludes the hotel booking and any food/ drink etc) is AED 1,295. To reserve your place please get in contact as soon as possible! You are required to have a power-meter on your bike to participate in this camp.